After a long year of construction, heavy rains and unexpected challenges, I am pleased to announce the Tennis Complex at Tinsley Park is completed. Baseline Construction, the general contractor for the project, executed the remaining items on the punch last week. The tennis complex will be named after Mr. Tony Cavett. Mr. Cavett was a profound leader and helped promote the sport of tennis in our community. The Cleveland City Council passed a resolution in 2016 to match $500,000 of grant dollars. The City’s grant application was selected as a funded project by the Tennessee Department of Environment and Conservation. The total funding available for the Tinsley Park tennis court project was $1,000,000. 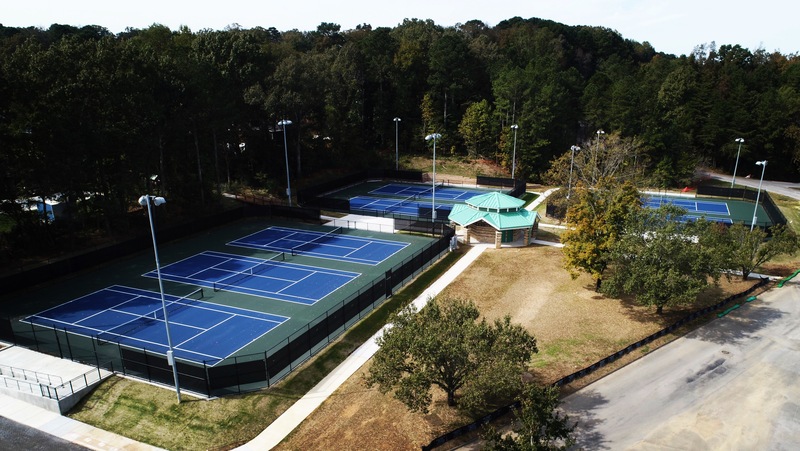 The completed project includes a new pavilion with restrooms, parking lot, patio area, rain garden, landscaping, shade structure, boardwalk and seven new tennis courts. I am very appreciative of the leadership of the Cleveland City Council at that time to make this a reality. This was a much needed and desired project from our citizens. As a part of the continuing improvement and enhancements of Tinsley Park, four pickle ball courts are in the planning stages at Tinsley Park. Last year, a public meeting was held in regards to City’s Parks and Recreation Master Plan. Over sixty citizens expressed their needs and desires to have outdoor pickleball courts to play. I was unaware what pickle ball was and had to google it. It seems like a fantastic game for families and seniors to participate in. I believe it will further enhance the quality of life of our citizens. The City applied for the Department of Health’s Access to Healthy Built Environments and was awarded $50,000 towards four pickle ball courts. The pickle ball courts will be located adjacent to the Tony Cavett Tennis Complex in Tinsley Park. City staff are completing the planning and environmental phases of this project. Construction is slated to begin late spring/early summer once the weather warms. In the meantime, the tennis courts are now open for our citizens to play. This is a tremendous asset for our community. I am looking forward to seeing many tennis games there. A formal dedication and grand opening is currently being scheduled by the City of Cleveland’s Parks and Recreation Department. The grand opening and dedication ceremony will be announced at a later time. With a forecasted low of 19 degrees on Tuesday, 18 degrees on Wednesday and anticipation of snow, ice and sleet, the weather of the past two days has been harsher than we would like in late January. Thankfully, our incredible Public Works department was more than capable to meet the task at hand. Monday afternoon, public works began making the preparations for the anticipated winter storm expected to hit Cleveland early Tuesday morning. The department is currently led by Mr. Tommy Myers. Mr. Myers and his staff primed our heavy equipment with salt and snow plows for the oncoming inclement weather. The wintery-mix consisted of rain, ice, and snow which started around 4 a.m. on Tuesday, giving them less than three hours to prepare our roads to be cleared of black ice and precipitation before the morning rush hour commute for our citizens on Tuesday morning. The preparation, proactive attitude and hard work of our city's Public Work employees was a boon for the 'City with Spirit', as their quick response enabled the citizens of Cleveland to have a safe commute to their destination(s). City leadership, including City Manager Fivas, Police Chief Gibson, Fire Chief Harrison, Myers as well as our Bradley County counterparts and myself, we were able to intently oversee the developing cold front and expected weather patterns that were approaching Cleveland in the early morning. At that time, our team formulated the best strategies that would prepare our first responders to have the ability to continue delivering emergency services as excepted and needed by our citizens. I have no doubt in their ability to keep us save. The safety of our citizens is always a top priority for city leadership. I appreciate the diligence and willingness of our employees to go above and beyond their call of duty to provide first-class customer service and to meet the high expectations of our citizens. I'm extremely proud that this is one of the many excellent services that you, the tax payer, receive and benefit from. However, their work did not end that morning though. 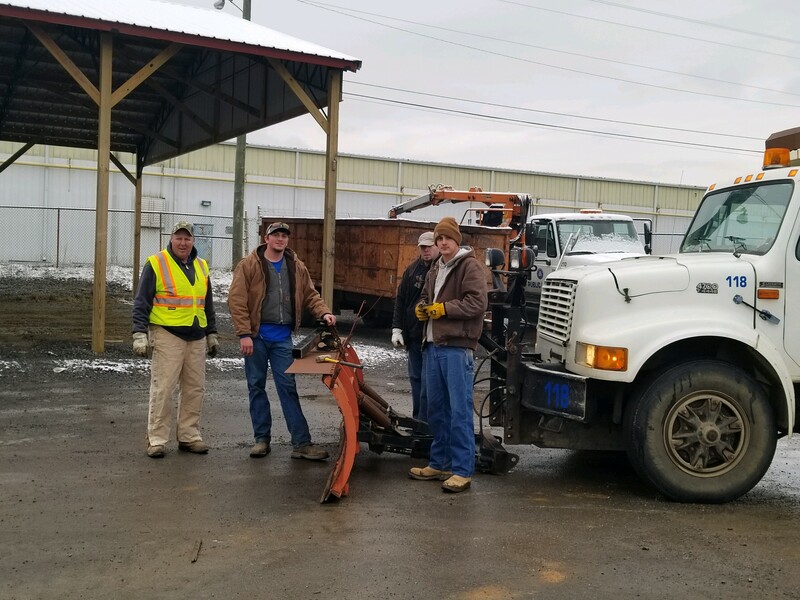 In addition to providing our routine services, our public works staff throughouly monitored the conditions of our city's road to ensure the public's safety. Our City’s public works departments provides a wide variety of services including: street design, construction inspection and maintenance, pothole and street cut repairs, drainage design (construction or installation and maintenance), preparation and inspections for contracted major paving projects, sidewalk construction and replacement, public facilities maintenance and renovation, airport maintenance, residential and commercial garbage collection, brush disposal, bulk goods collection, leaf collection, and street sweeping. I’m extremely thankful our city has the capacity and ability to provide additional services for snow and ice removal during the inclement winter weather. Once again, thank you Mr. Myers and our public works staff. Thank you for the hard work that you do, the effort that you all put into your jobs, and the excellence with which you all complete your tasks. I believe our great city is better for it. Recently, I was attended the Tennessee Mayor’s Forum hosted by the Tennessee Department of Economic and Community Development (TNECD). It was an extraordinary event held in Nashville and headed by Governor Bill Lee and TNECD Commission Bob Rolfe. This Forum provided an opportunity for Mayors across the state of Tennessee to share experiences and learn more about different funding opportunities and mechanisms our state offers, as well as how we, as Mayors, can serve our individual communities better through these programs. We were also reminded of the existing programs, and how to utilize them to their fullest potential and we learn how to use the new programs that the State has implemented as well. The state of Tennessee provides incentives for local communities. These incentives include training grants, infrastructure grants, discretionary grants, tax credits and exemptions. In order to quality of receive these incentives performance measures such as number of full-time jobs create, quality of jobs (wages), capital investment and your location are evaluated to determine qualifications. Our state is proud to foster economic growth with flexible incentives that reduce the capital burden, minimize operating costs and reduce risk for investors. Did you know Tennessee was ranked as the number one state in small business growth for 2017? A big reason for that ranking was the advancement for growth brought by the Tennessee Placemakers Program. This program provides monetary resources dedicated to assisting entrepreneurs across the state create and expand their businesses. Small businesses can use these funds to assess and plan, build and sustain, or to support and train their workforce. Other programs offered by TNECD include the Tennessee SmartStart program. This is a simplified step-by-step guide for small businesses involved in print, online and digital applications. Economic Gardening, which targets existing second stage small businesses with assistance on strategic issues and provides customized research so they can grow. Rural Opportunity Funds gives access to at least $18.75 million dollars over the next five years towards Tennessee’s rural small businesses. Mobile Labs, a mobile resource for youth and young adults are designed to create awareness and provide technical assistance for future and existing small businesses. Many of these programs are great opportunities for our citizens to achieve their dreams and continue improving Cleveland. Cleveland and Bradley County are also a Broadband Ready Community. A “BRC” is called in State Government is a county that is ready for Broadband access, and can receive state funding to ensure that all our citizens in Bradley County have access to reliable internet. Another great resource we have in Bradley is ThreeStar. ThreeStar is a two-year program that serves to promote economic and community prosperity through collaboration to positively impact every Tennessean. It provides grants available up to $50,000 to assist Bradley in improving asset enhancement and workforce development. I really enjoyed going to this years Mayor’s Forum. Yes, partly because it was enjoyable to learn about the diverse funding opportunities our city can utilize, but also listen to mayors from across the state about the challenges and successes they face in their communities and what they are doing empower their citizens to improve their communities. All of these programs- and more- exist to help you, the incredible, hardworking citizens of Cleveland. Our City Council and city staff will explore these possibilities to help you achieve your goals so that we can all build a brighter Cleveland together.